With nearly 500 stores across five countries, we're a one-stop source for domestic, international, and freight shipping services. When you visit your local Pak Mail Key West, we'll find the most cost-effective, safe way pack and ship your items, whether it's by air, ocean, or ground. Pak Mail Key West can help make the trip home from school this summer much easier. We can pack and ship all your items and just ship them, so you don't have to lug them home. 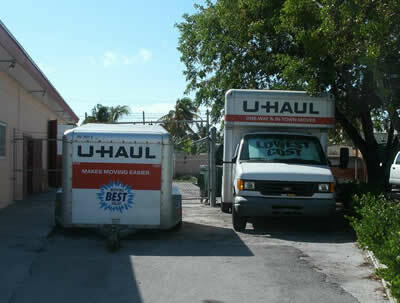 Pak Mail Key West is an authorized Uhaul rental facility. We offer Uhaul truck and trailer rentals for both local and one-way moves. Uhaul boxes and packing materials are available for sale.